It was a turbulent time and a great time. Learning to adjust to someone and especially with a new baby and illness. However, it passed quickly and both of us were delighted with the new baby. 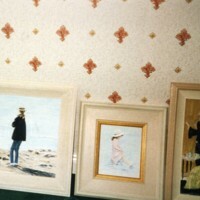 A photo of art work by Maura Corr. 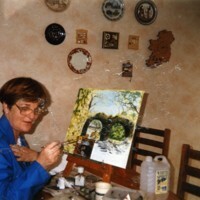 A photo of Maura Corr painting a landscape in her home.